I like to read good books, mostly sci-fi and personal-growth type stuff. 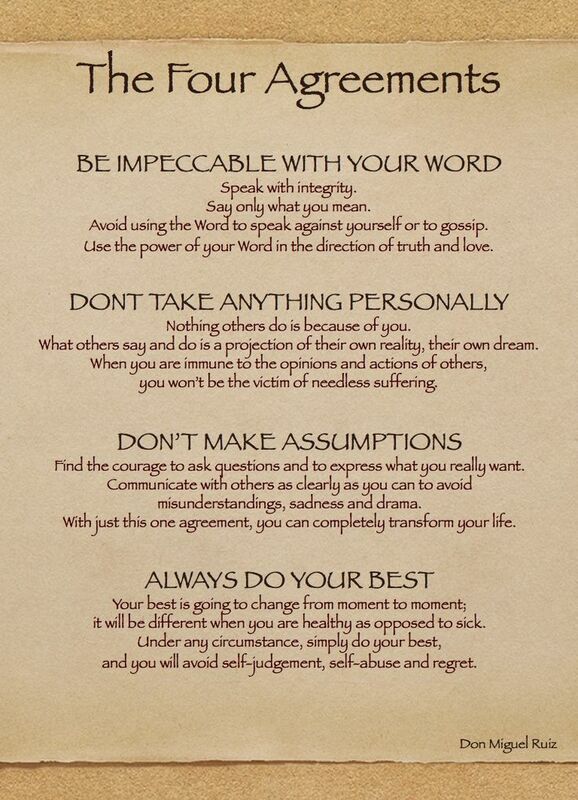 One great book I recommend is The Four Agreements. It's a short book, an easy read and gives an excellent perspective on personal practice in a wild world. It's decent advice on meditation with some scientific sounding rhetoric for dressing. I like the four agreements, but it's like a lot of books and movie trailers. It's 4 agreements! That's a Cosmo side bar not a book.